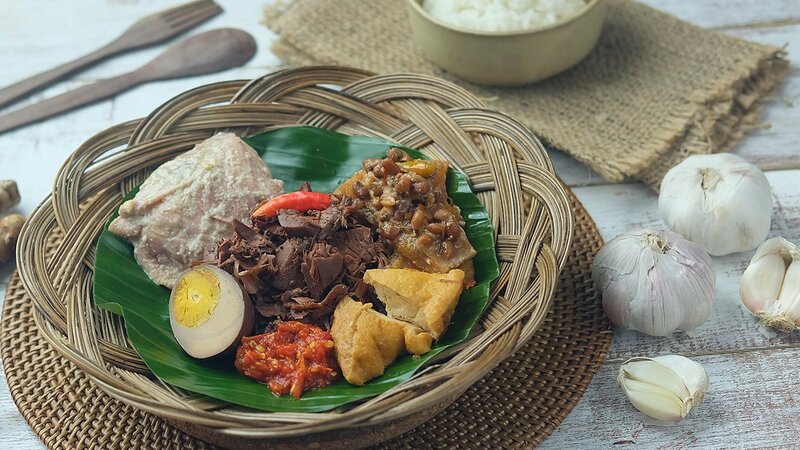 Gudeg is a typical dish from Yogyakarta and Central Java, and it's made using young jackfruit and boiled eggs, cooked with coconut milk. This is always a favourite amongst sweet enthusiasts everywhere. Then boil the pieces for 10 min, then drain. Boil the eggs until cooked and drain. Sauté all ingredients, then add the jackfruit. Reduce the heat, then add the coconut milk little by little.